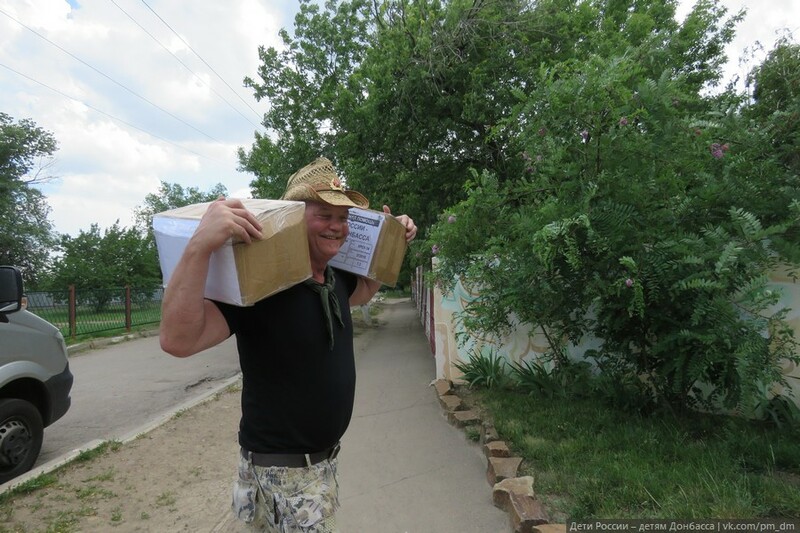 “All-Russian Parents’ Resistance” and “Essence of Time” delivered humanitarian aid as a part of the campaign “Children of Russia to Children of Donbass” to the kids of kindergarten №2 “Aquarelle” in the town of Krasnodon, Lugansk People’s Republic. 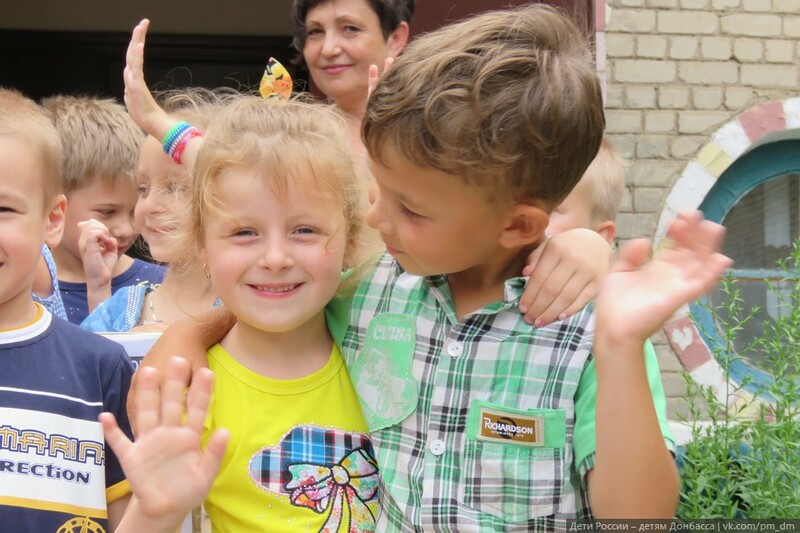 The aid was gathered in kindergarten №8 in Sosnovoborsk town in Russia. The boxes contain notebooks, books, abstergents, food products and, which cheered the kids a lot, chocolate. 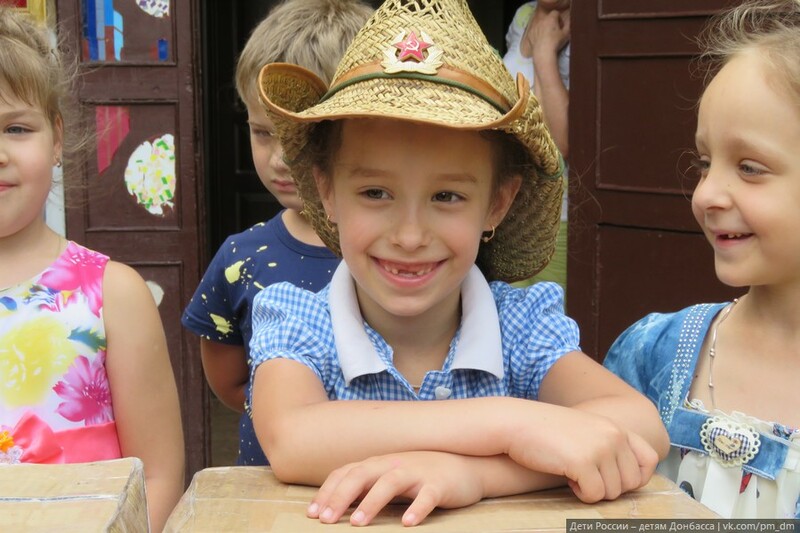 The teacher’s team of “Aquarelle” send words of gratitude to their colleagues in Sosnovoborsk for such gifts for children. “It is very pleasant for us to know that we are remembered and supported in such hard times,” nursery teacher Mariya Timofeevna said. 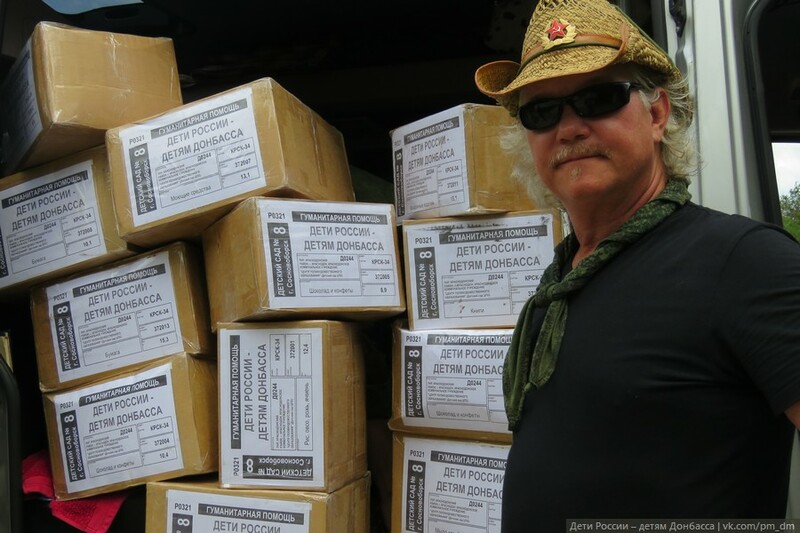 This entry was posted in News from Ukraine and tagged All-Russian Parents' Resistance, Children, Children of Russia to Children of Donbass, Humanitarian aid, LPR, Russia. Bookmark the permalink.